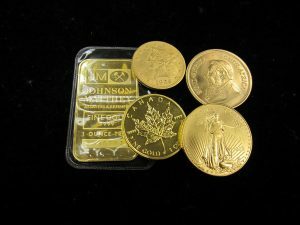 We purchase all types of United States and World Coins, both old and new. We specialize in high end, rare US Coins. However, unlike many coin dealers, we will buy your ENTIRE collection, not just the good stuff. Click Below to Download an information sheet on United States Coins! The link above is a rough guide to help you identify and sort your coins. If you would like us to evaluate your coins, you can either sort them as described in our Coin Information sheet or bring them in as they are. Condition: Refers to the amount of wear on the detail of a coin. The less wear the higher the value on specific series. Content: What kind of metal a coin is made of. Demand: How popular a particular series is to be collected. If you do not see the coin you have on this sheet, please bring it in. While the ‘Better Dates’ are usually the higher valued items, specific dates can be worth a substantial amount of money based on their condition.